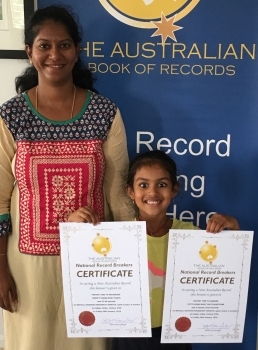 At 6 years, 6 months of age Srivalli Sarvani Singaraju Venkata answered 50 human body facts questions correctly in just 3 minutes 35.19 seconds. Not enough for Srivalli, she also proudly recognised by sight twenty human body parts in just 47.60 seconds. 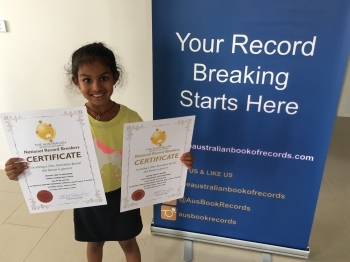 Unsurprisingly Srivalli wants to become a doctor when she ‘grows up’. 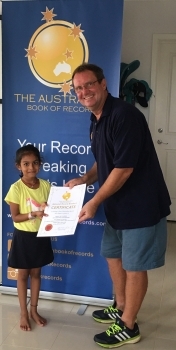 Srivalli is about to commence grade one at Harvest Home Primary School Epping and has many interests such as Bollywood dancing and gymnastics.